Place 1 lettuce leaf over center of each tortilla. 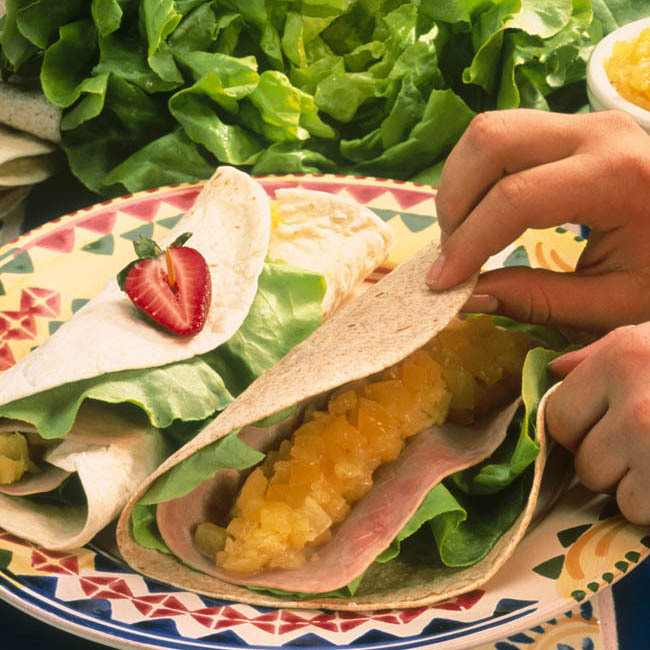 Evenly layer ham over lettuce; spoon crushed pineapple evenly down center of each tortilla. Starting at one end, carefully roll up tortillas tightly.